I'd spent the day amongst the hills between Tollie and Slattadale and decided before the day ended to see what kind of sunset might develop at Gairloch. In the late afternoon I travelled to the viewpoint at the top of Achtercairn Hill and enjoyed watching the light change as the sun went down. 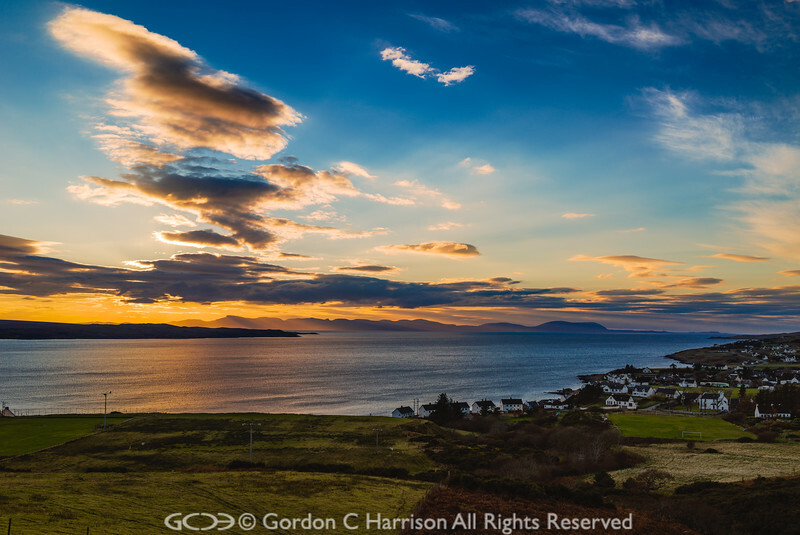 Adding to the attractiveness of this view is the silhouette on the horizon is the northern end of the Isle of Skye.